Pitchers get somewhat of a pass when it comes to hitting — they’re not expected to be great at it — but they are expected to be serviceable. 51s manager Wally Backman said his pitchers spend a lot of time hitting during spring training. It’s been 20 years since Frank Viola played in the majors. And yet, the 51s pitching coach can recite his hitting stats without missing a beat. He was a .141 career hitter with six RBIs, including four in one season. He hit three doubles, one ball to the warning track and a few batting practice home runs. “We do take pride in (hitting) because we don’t get to do it too much and we’re not very good at it,” Viola said. Pitchers get somewhat of a pass when it comes to hitting — they’re not expected to be great at it — but they are expected to be serviceable. 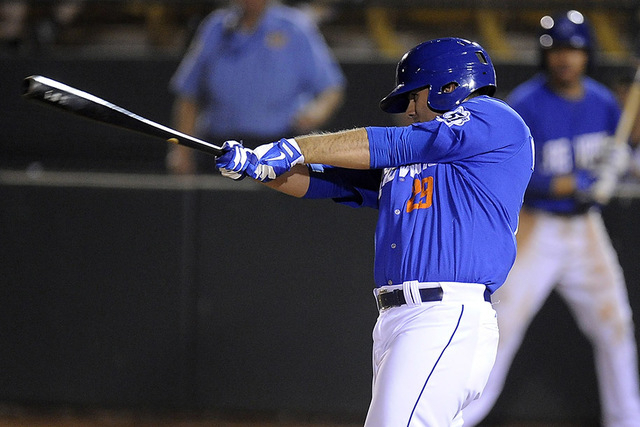 Recently, the 51s’ parent club, the New York Mets, experienced a surge in power from its starters. 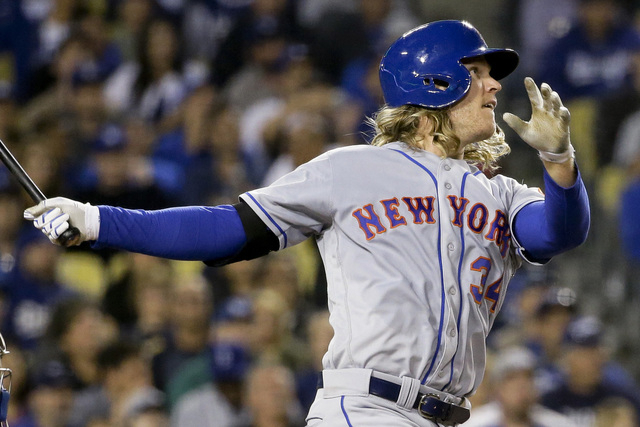 Bartolo Colon hit his first career home run May 7, and Noah Syndergaard hit two Wednesday. The 51s might not have power-hitting pitchers, but they’re working on it. At the least, they’re competent — in recent games, Viola was happy with two well-executed sacrifice bunts by starters Seth Lugo and Duane Below. The starters generally have been able to handle themselves well in game situations, but they’re still lagging behind relievers in the all-important batting practice competitions. The 51s have their starters hit usually twice for every five-day cycle — the day before they pitch and the day of. Relievers hit far less, sometimes once or twice a homestand. But when they do hit, Viola makes it fun for them. They do a simulated nine-inning game with Viola pitching and “ghost fielders.” Whenever someone makes contact, they try to figure out whether a fielder would have made a play. If a guy can’t get a sacrifice bunt down when he’s supposed to, he’ll lose the chance to try to drive the batter in on the next swing. The last two times out, the relievers have won — and they’ve won more than just bragging rights, though those are important, too, especially considering that starters get more in-game at-bats. “They get to take BP all the time and they still can’t beat us, which just shows you how good the relievers are,” closer Paul Sewald said. The winner gets a day off from shagging batting practice at their choosing, which comes in handy when temperatures reach 115. And though the 51s make it a fun competition, the pitchers also benefit from the practice. 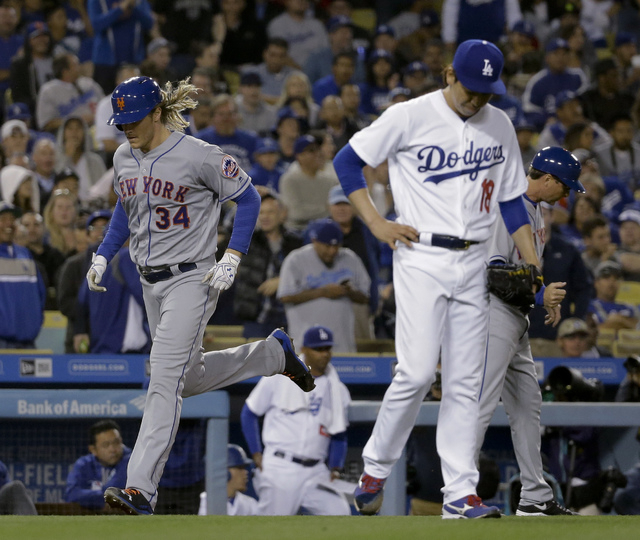 The starters lost their best asset this week when the Mets called up Sean Gilmartin. Gilmartin, who went 2-for-3 with an RBI in a May start, benefits at times because he can handle the bat, sometimes extending his start because he doesn’t need to be pinch hit for. But that’s not the case with all of the starters. In Below’s last start, he was removed after just 87 pitches for a pinch hitter, though he thought he could have kept going. Below called himself the worst hitter on the team, though opinions on that vary. Viola pleaded the fifth. Backman said it was probably a reliever. Sewald immediately pointed to fellow reliever Jeff Walters, though Walters came through in the clutch with a sacrifice fly to give the relievers a victory Wednesday. And though they might not be great at it, 90 to 95 percent of pitchers really do enjoy hitting, Viola estimated.